He may be nearing his sixtieth birthday, but Shigeru Miyamoto doesn't think he'll ever stop making games. Shigeru Miyamoto is one of the giants of the gaming industry, but now nearly 60, he's starting to think about retirement - more specifically, how he never wants to do it. 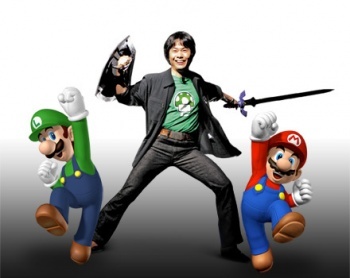 Miyamoto has been with Nintendo since the late 70's and has no plans to leave any time soon. "I am one of [Nintendo's] workers and the company has to retire me some time. So from that perspective, yes I may have to retire from Nintendo some day," he said. "But when I look around and see how aged cartoonists continue to work on their manga and how movie directors create new movies all the time, I understand that they would never retire." "And by the same token," he added. "I guess I will still be making games somehow. The only question is whether the younger people will be willing to work with me at that far point in the future."